Standard double room with Queen bed and ensuite bathroom with shower. 40" tv, blu ray player, writing desk, breakfast table and club chairs, heating/air con, mini bar. Queen Deluxe rooms are located at the side and rear of the building. HEAVENLY DEEP BATH! Soak away life's stresses with our deep deluxe, two person bath. REWARD YOURSELF and join Auldington's growing list of satisfied guests! Queen or King bed. Modern furnishings. Tall ceilings. Separate bath and shower in the ensuite. 40" tv, blu ray player, writing desk, breakfast table and club chairs, mini bar/bar fridge, crockery/cutlery, tea & coffee facilities, air con/heating. *Stylish 1 bedroom suite* HOTEL LUXURY KING Bed in the bedroom and Queen sofa bed in the separate lounge area. UP TO 2 KIDS STAY FREE* 40" TV in bedroom and separate 40" TV lounge room. Air con/heating in bedroom and lounge room. Writing desk, breakfast table with club chairs, crockery, cutlery for four people, mini bar/bar fridge, microwave. Spacious ensuite with shower. GREAT DEAL FOR FAMILIES! Guaranteed spectacular views from your room over our landscaped gardens, central and east Launceston and the mountains beyond. Two rooms with private Juliet balcony. Hotel LUXURY Queen bed, 40" tv and blu ray player, writing desk, breakfast table and club chairs, mini bar/bar fridge, tea and coffee facilities, cutlery and crockery, air con/heating, private ensuite. The family room that has it all! AFFORDABLE LUXURY. Large King bed bedroom. Private ensuite with deep deluxe bath and separate rain head shower. Writing desk, breakfast table and club chairs, crockery/cutlery for four. Mini bar/bar fridge. Magnificent city views from massive lounge, complete with leather sofa & coffee table, 55" SMART TV, FREE use of DVD Library, Queen sofa bed, 6 seat dinning table, Microwave, Coffee Machine. Space for additional rollaway beds. Air con/heating throughout. 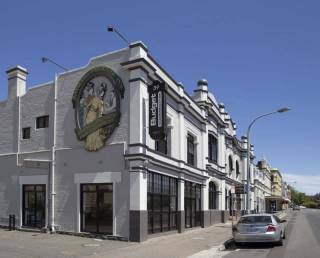 Auldington Hotel offers true boutique accommodation in the centre of Launceston, Tasmania. What was once Presentation Sister’s Convent, established in 1899, has now been converted into a luxurious, welcoming and peaceful 4.5 star, AAA-rated hotel. The building’s grand façade, high ceilings and historical features now contrast with stylish contemporary interior furnishings & modern local art. Auldington offers functional design, a lift to all floors, air-conditioning in all rooms, a quiet central location, superb gardens, spacious grounds and easy car parking. Free broadband and wireless internet is available in all rooms. All rooms have a private ensuite. Bathrooms are modern and 12 of the 18 rooms offering a deep luxurious bath or spa bath in addition to the separate shower. 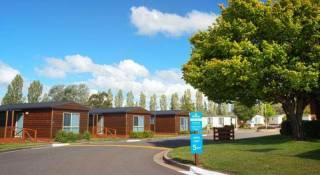 There is also 1 room offering wheelchair access and mobility facilities. Auldington is extremely well located, only 10 minutes walk to the city centre, excellent restaurants and cafes, a major supermarket, the Cataract Gorge and river cruises. Local, friendly, genuine staff will endeavour to deliver and experience above expectation. A tour booking service is available and our knowledgeable staff can provide you with information about the local attractions and Launceston’s fabulous restaurants and cafes. Reception is open from 8.30AM to 8.30PM. Registed guests enjoy 24 hour access to the building via the After Hours door. Check in time commences from 2.00PM. If arriving after 8.30PM, guests must notify the hotel in advance to arrange an after hours check-in. Failure to telephone the hotel may result in a $60 AFTER HOURS call out fee. If arriving by car from the Launceston airport, Hobart or Devonport, you will arrive via Highway 1. Highway 1 becomes Bathurst Street as it enters the outskirts of the CBD. Drive for one kilometer along Bathurst Street to Frederick Street and turn left into Frederick Street. Brickfields reserve will be on your left. Continue along Frederick Street past the first intersection (Margaret Street and Frederick Street). The entrance to Auldington Hotel is on the right along the next block. Look for a low brick fence with an illuminated Auldington sign. If using GPS, it is best to look for 71 Frederick Street (a Pathology). The entrance to Auldington Hotel is located directly opposite the Pathology.